Events in Libya and Syria have again brought the legitimacy of armed humanitarian intervention and so-called “responsibility to protect” into question. Afghanistan remains the world's largest producer of opium and has an under-reported but growing heroin-use problem. 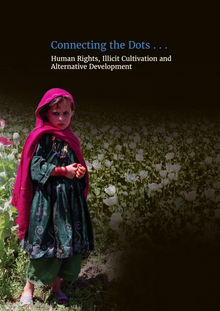 Current drug control policies in Afghanistan lack focus and are unrealistic, driven by headlines rather than evidence. Security in Afghanistan - Business as usual? The security threat has made the operations of international agencies in Afghanistan more costly, but it is also one of the few booming sectors providing much needed jobs to some and lucrative profits to others. TNI staff report from Afghanistan. The declining security situation in Afghanistan is costing international agencies billions of dollars a year. But for some people, security has become big business. We are on a 12-day mission in Afghanistan to assess opium market trends. The country is responsible for over 90% of world opium production. Last February 2009, the Spanish general Vicente Díaz de Villegas presented his resignation to the UN Department of Peacekeeping Operations (DPKO) for the UN Mission in the Democratic Republic of Congo (MONUC).